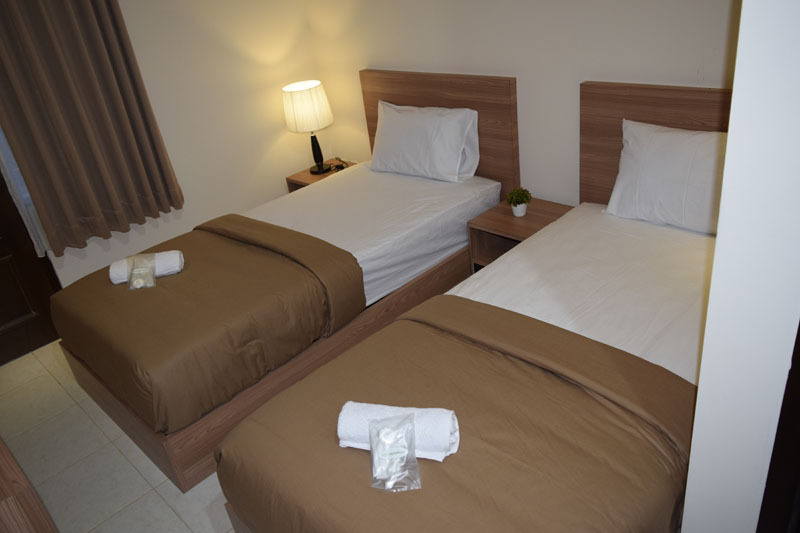 A Small Room is facing to garden that include facility of a double king-size bed with individual control air-conditioned, LCD screen television, large bathroom with hot – cold shower that impressively appointed to welcome you with fully comfortable during your stay. This room is a completely perfect for honeymooners and romantic couple. 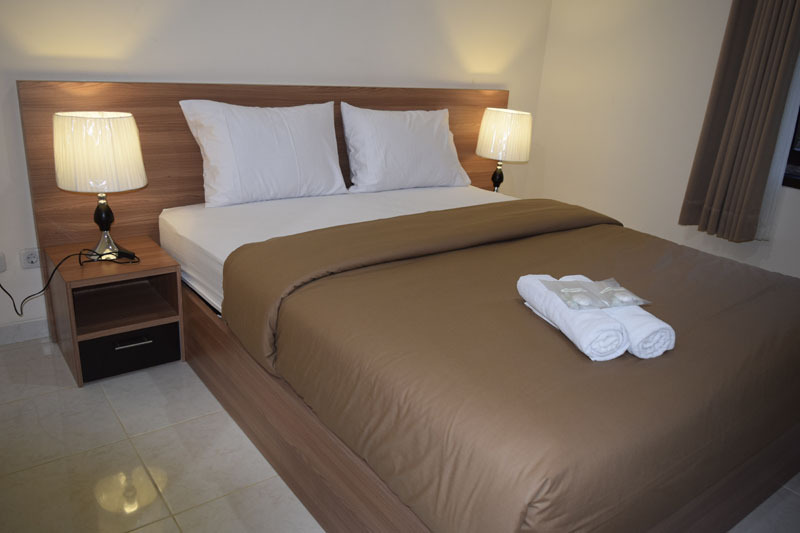 A Standard Room is facing to garden that include facility of a double king-size bed with individual control air-conditioned, LCD screen television, large bathroom with hot – cold shower that impressively appointed to welcome you with fully comfortable during your stay. This room is a completely perfect for honeymooners and romantic couple. 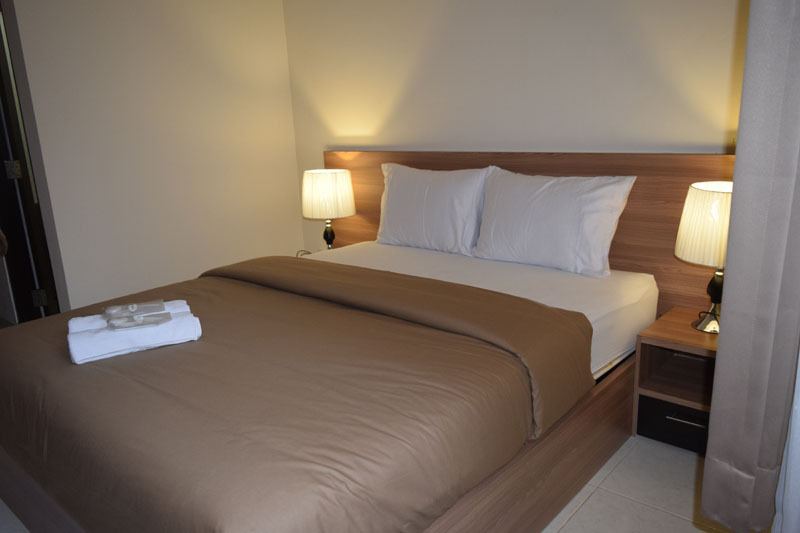 A spacious of Family Room facing to garden that include facility of one double king-size bed and one single bed with individual control air-conditioned, LCD screen television, large bathroom with hot – cold shower and bathtub that impressively appointed to welcome you with fully comfortable during your stay. 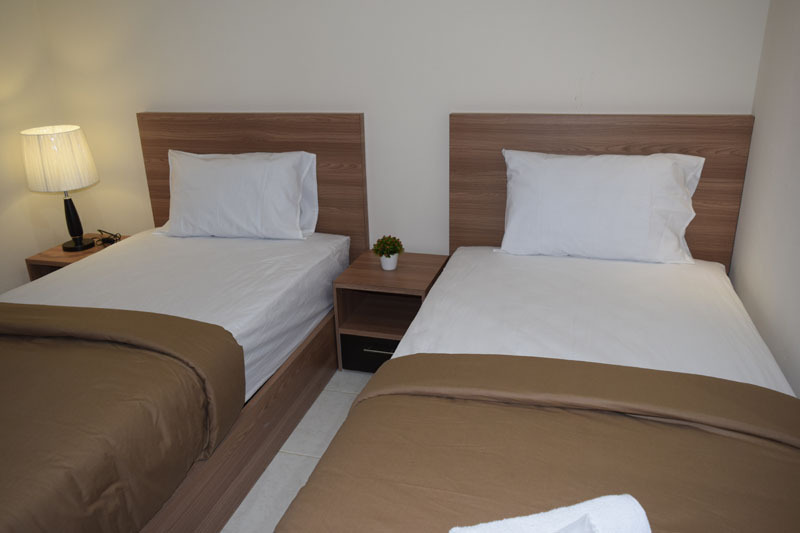 This room is a completely perfect for family accommodation.